We did a live-blog during the Student Day of Action and took calls from journalists in the field at the rally. After the march, myself, Lauren Naish, and Scott Riddell wrote the final story. 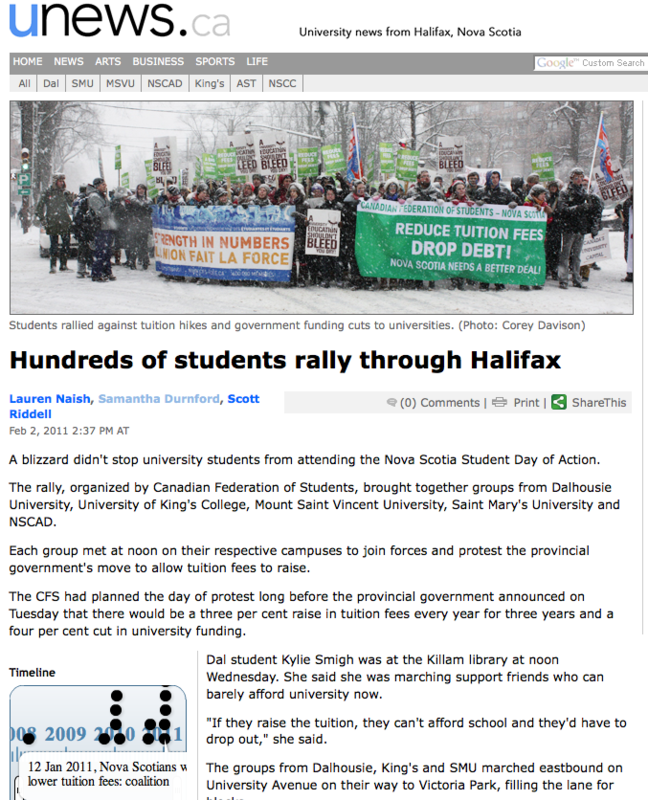 There’s also a time-line following the stories on tuition in Nova Scotia done by myself and Laura Conrad. Marie David and I did a graph of tuition fees in Nova Scotia since 2003.